Remarkable progress requires extraordinary energy. 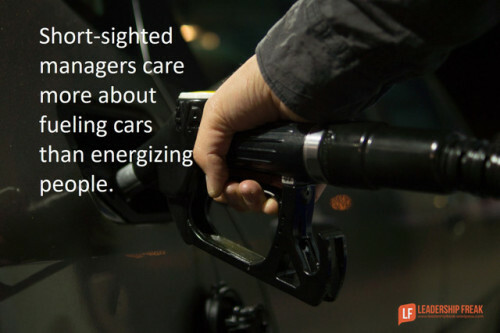 When managers don’t have time to inspire their teammates, their team eventually runs on empty. Yes, there are some people who go like the energizer bunny. But most of us are real human beings, not bunnies. Suppose you’re teaching little Wilma to swing a bat so she can hit the ball. Ask, Why do you want to hit the ball? Wilma might say, So I can get to first base. Adopt the language of purpose to energize people. Talk about getting to first base when teaching Wilma to hit the ball. Let’s work on getting to first base.